The Vault of Glass has opened today in Destiny, which means players can now take part in “Strikes,” which is what Bungie is calling raids in Destiny. Strikes are quite small in size, comprising of six people. Earlier, I wrote about raiding details for Destiny. Bungie waited until the game was out a week before opening the doors to the Vault, probably because they didn't want players to immediately consume the content. Waiting a week didn't matter much, either, since Bungie tweeted earlier today that PrimeGuard, a guild in Destiny, has already cleared the Vault, with a mere 281 deaths. Bungie, of course, is taunting them with the nice try on normal, now let's see you do this on hard. I asked this in my other article and I'll ask it again: is a group of six players a raid or is this an intricate dungeon to crawl through? Does the content itself make it a raid, rather than the numbers? I don't own a console, so I'll have to wait until my coworkers can stop playing Destiny long enough to pipe in on their thoughts. If you've experienced Vault of Glass, be sure to leave us your thoughts in the comments section. 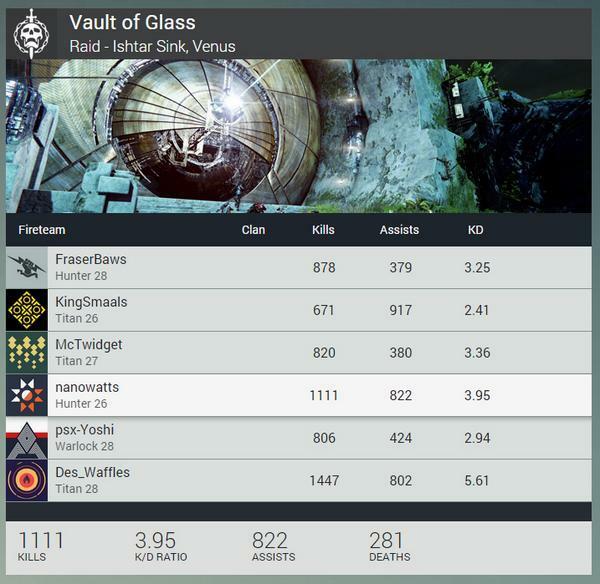 Congrats to PrimeGuard for clearing VoG normal! ArcheAge also had a major milestone today, as it has its full launch to the free-to-play players. Until today, only those with early headstart have been playing the game. As I mentioned yesterday, Trion has opened two new servers already, one for both the NA and the EU clusters. We will hav eto see if this continues, or if Trion is going to let ArcheAge deal with the pains of being the new game on the block until the population stabilizes past that new game rush. I predict that Trion might need to open a couple more servers in the meantime, but it's always a hard gamble. If they don't open enough, servers will see login queues. If they open too many, some servers will turn into ghost towns after the rush is over. It's a cruel inevitability all MMOGs have faced. ArcheAge has already had a rocky start, with guilds tripping over one another for land rights, all of Trion Worlds receiving DDoS attacks keeping players out of all of Trion's games (and severely lagging those who managed to get in). I've yet to see an MMO have a launch that went without a hitch. Rather, they seem to come in degrees of rockiness. Since the DDoS certainly didn't help matters, ArcheAge players were left trying to recuperate from that mess (PS, whoever pays a bunch of bored script kiddies $25 to launch a DDoS attack, you're assholes and cowards), and now, they are left fighting against the numbers as the floodgates have opened. Those who were unable to play during headstart feel like they've been scammed, but others shrug their shoulders and claim that it's just MMO launches. I can see both sides of the issue here. Yes, MMOs are notorious for launches always being riddled with issue after issue. That seems to be the nature of the game...genre. No matter how well prepared a company tries to be, everything that will go wrong must go wrong and no one working for the developer ends up sleeping for the first couple of weeks that the game is live. However, those who did buy into alpha and beta did also buy a headstart. Will Trion find a way to make it up to them? Should they? The great land grab is over and there's no returning from that, unless Trion can manage to make what is left into areas that are desirable, are not in open PvP areas, and do have farming capabilities. Until then, anyone who wants to continue playing the game will also have to play the waiting game – a game no one enjoys.